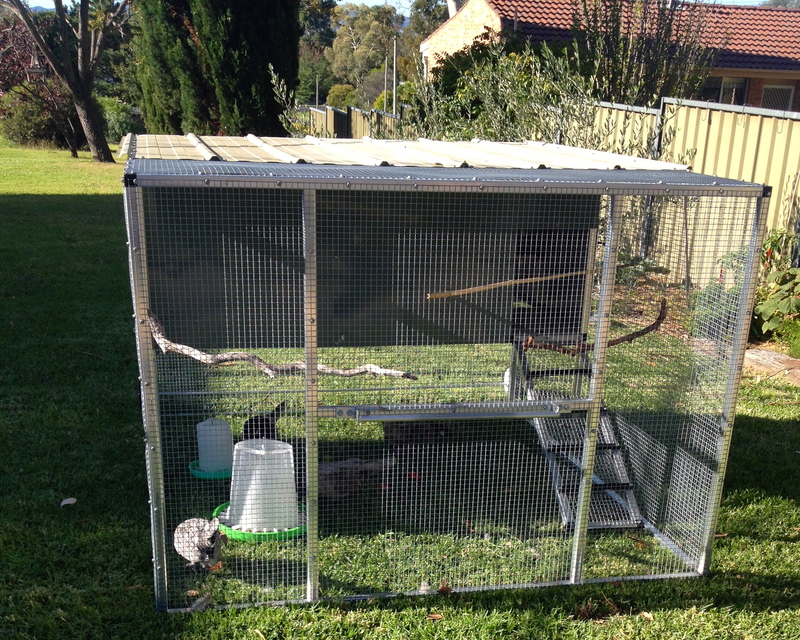 The chook tractor is quite large, has wheels so I can move it around the property and plenty of ground room as well as a large protected upstairs nesting area. It’s been a while coming but now it’s all happened at once. A kindly local put together my amazing but very big and heavy chook tractor that has been sitting in the carport since before Christmas. The next day I arrived home to find four lovely girls settling themselves in. This lovely girl is so friendly and follows you as you walk around the coop. If you put your finger in you can pat her or she’ll give you a friendly nudge. 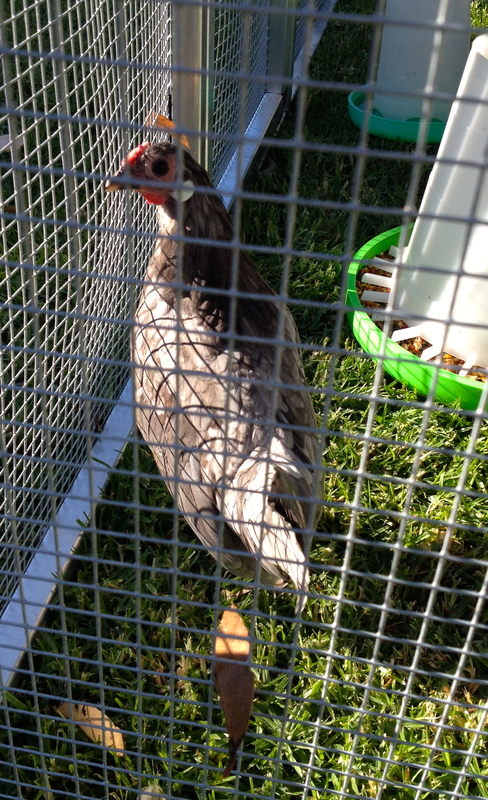 I have Rosecomb Bantams and they are pretty, friendly little birds. They came running over to me and let me pat them immediately through the wire. 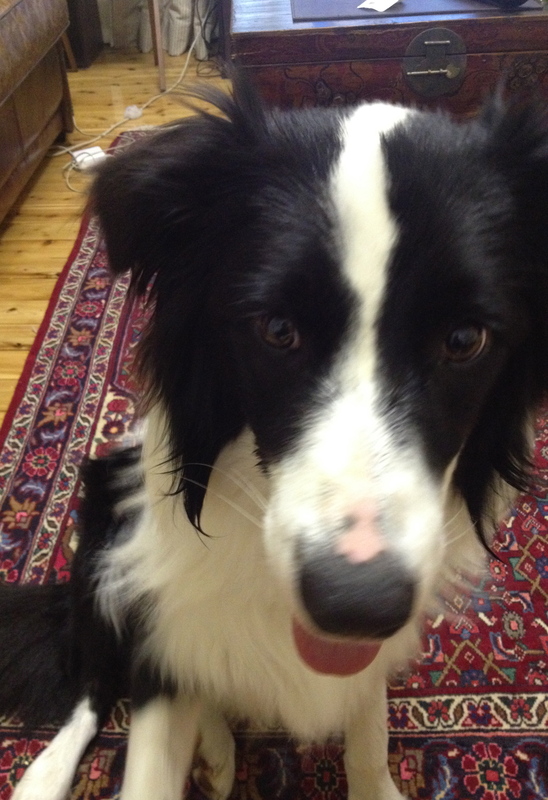 The dogs, however, are another story and went totally crazy. 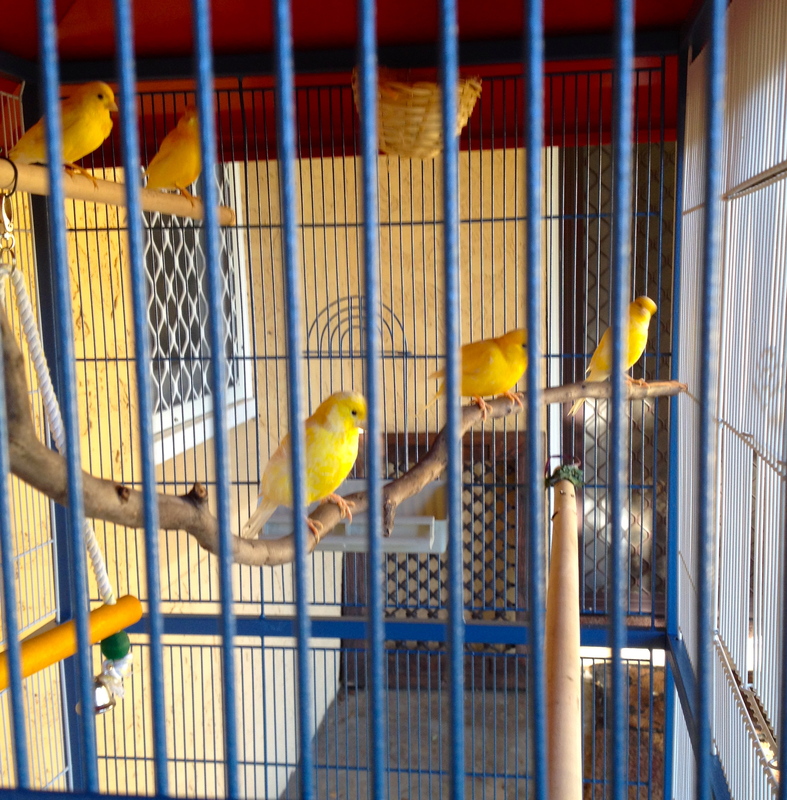 Popcorn settled quickly and only spikes interest if the little dogs get the birds to flap. But the little dogs are besotted and going through conditioning of gradual introduction to their new housemates. I was assured that the girls are used to annoying dogs and will cope, but I’d prefer them to have a settled start to their new home. 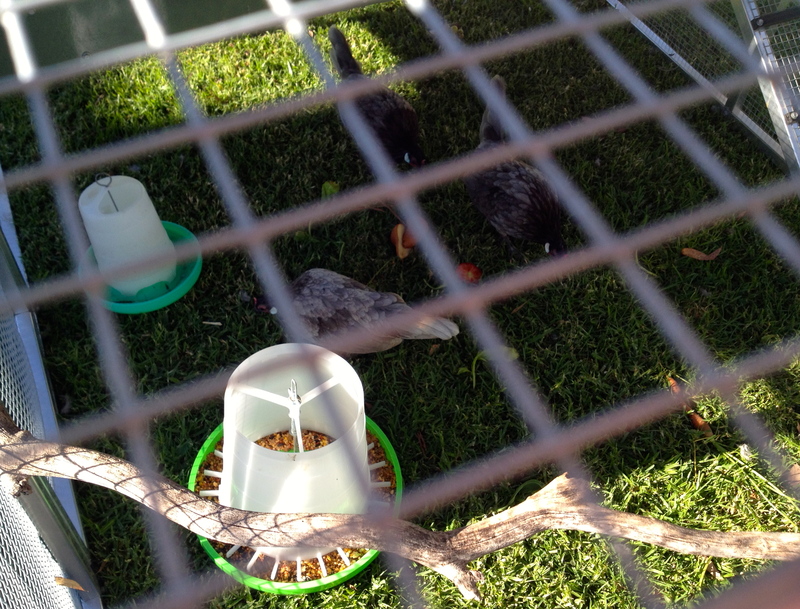 At present, if the dogs annoy them, they go up into their enclosed nesting area for some privacy but one chook, in particular seems quite unperturbed by canines. For now, I’m just enjoying their company and giving them a few treats to make them feel welcome. Once settled, they can have a dog free run around the yard for an hour or two each day and, of course, the tractor will regularly be moved to other sections of the yard for happy grazing. It will be an exciting day when I find my first egg. The girls exploring their new home. So now it’s time to set some targets for the next year. Given 2014 was nothing like planned – hadn’t planned on selling up and living here permanently, getting involved in the Museum, CWA not on the radar – let alone President, what shop? … Plans now just seem incongruous after years of managing Strategic and Operating Plans. So why have some personal goals? OK, just a concept and let’s see how close we get. Shop – I actually have a Business Plan and hope to pull this off. It’s important on a number of levels and I think achievable. 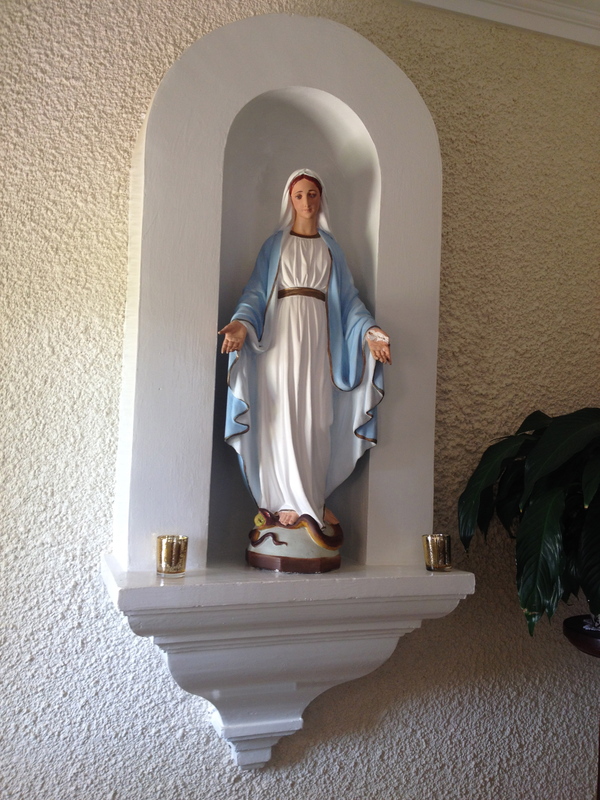 Convent – well, I should update the old toilets – and original kitchen and put in new kitchen, and update lighting, but they’re not high on priorities at present – although was a originally – how things change! Garden – finish side colourbond fence bed, build bed in front of the sunroom. Side block – well, good intentions here for the orchard/parkland block but at best may just clear it and manage a few plantings. Knitting – at least winning something at one of the Shows I’m planning on entering. Go Fishing! Have had a licence for a wasted year. I love fishing and have rods. Can’t believe I’m not doing this regularly given I’m so close to Dunn’s Swamp. I don’t need to catch anything. It’s about dropping a line in the water and just chilling. Keeping in touch with old friends and making some new ones – I now appreciate just how important this is. It’s easy to be isolated or isolate yourself, but friends – either local, old but visit, or even those you keep up with mainly online – are all so important and add a greater dimension and connection to your life. I’m sure there’s lots more I’ll think of but these are fine for now. After all, life’s supposed to be enjoyed. John Lennon was so right when he said, “Life is what happens to you when you’re busy making other plans”. 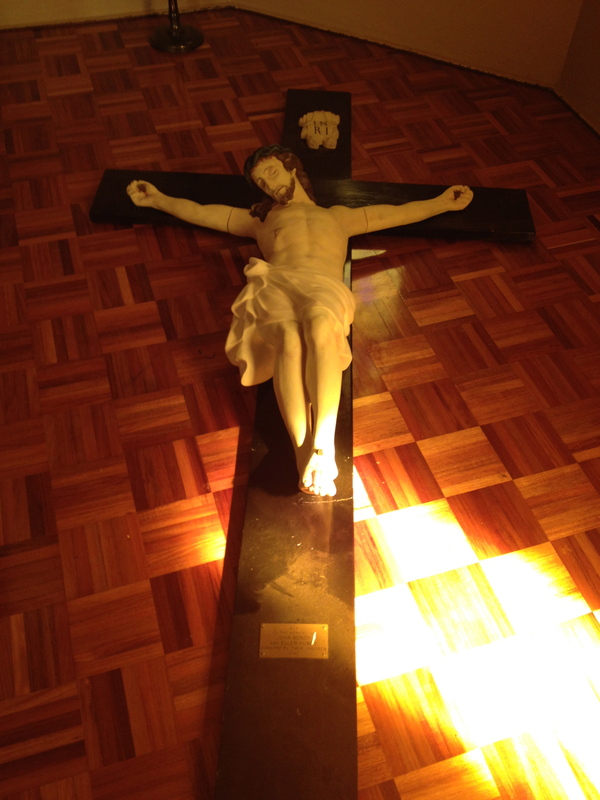 At one point early in the purchase of the Convent, the local priest offered me the return of the cross as a housewarming present. Today, not only the cross, but also Mary and St Joseph made a welcome return to the Convent. 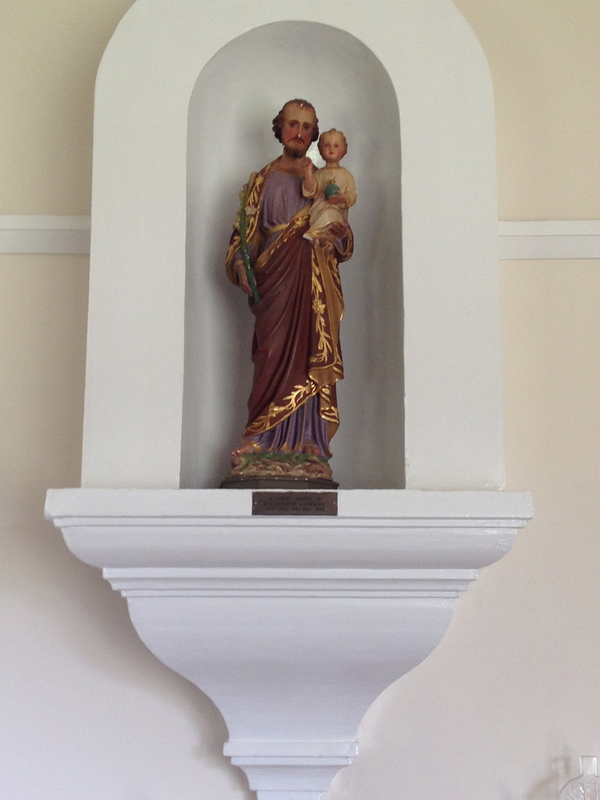 Mary and Joseph have been rehoused in their niches and Jesus needs brackets installed to place him back in the Chapel. A great day for the Convent and I hope the statues are happy to be back.